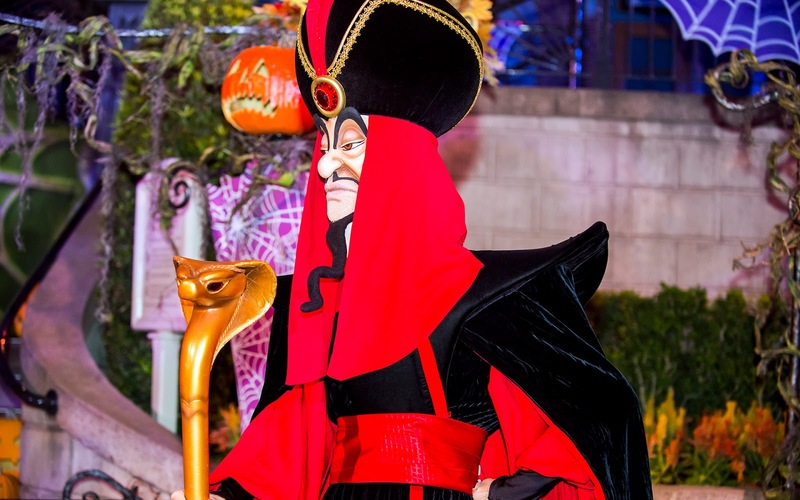 One definite advantage of Mickey's Halloween Party is the ability to have meet-and-greets with the villians of Disney animated lore, including rarely scene characters that don't regularly appear in the Disney parks! They're mainly gathered around the Disneyland Railroad Station on Main Street, and they're quite a hit with guests. Here are some of the faces one can spot at this seasonal event! 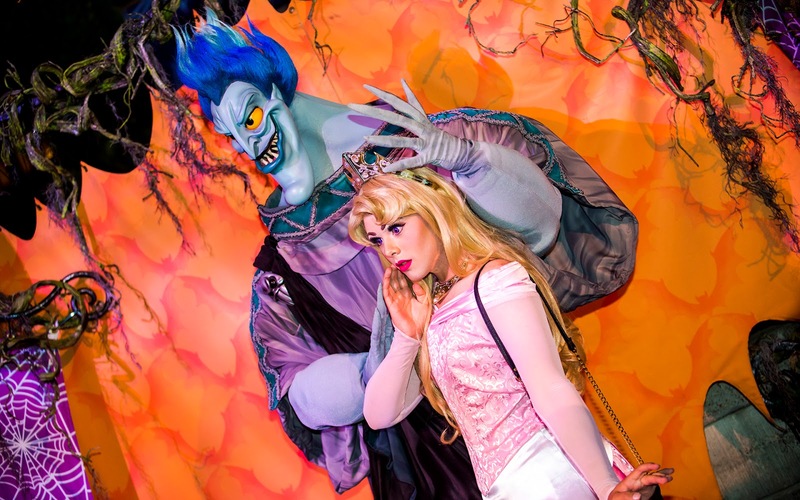 Hades gives a guest dressed as Princess Aurora reason to be wary. 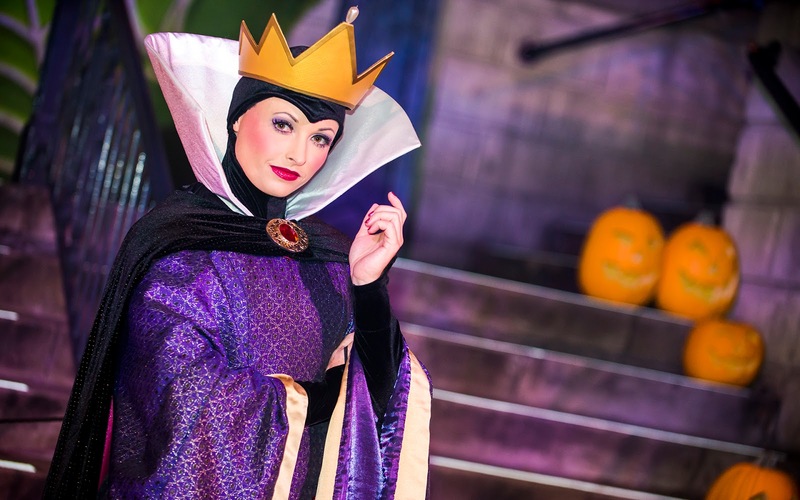 The Evil Queen from Snow White poses in front of a stair full of pumpkins. Jafar towers above most people. Among my favorites are the Tremaines. 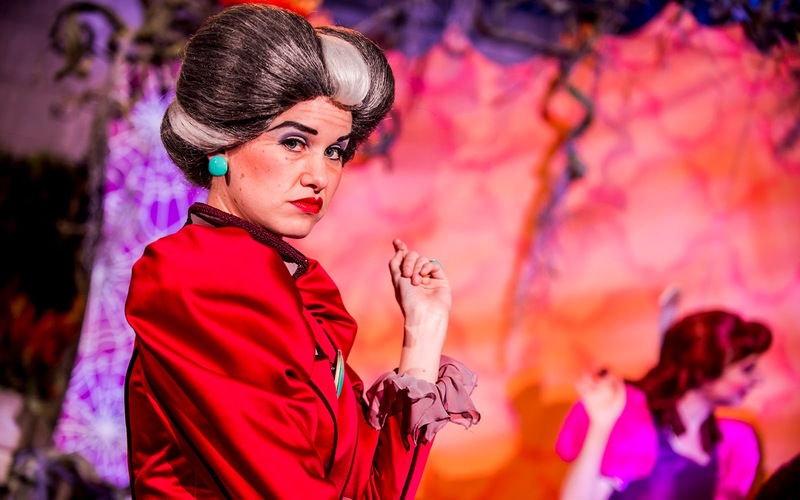 As face characters, they can speak, and their sassy attitudes are hilarious! 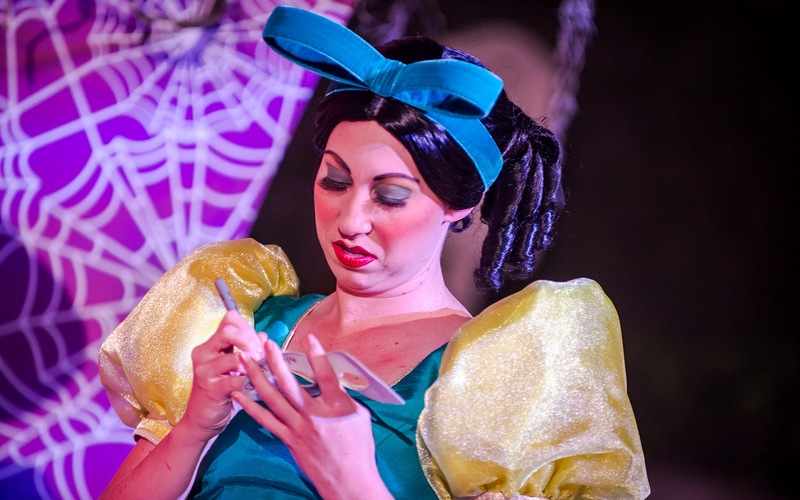 Drizella gives an autograph to a fan. 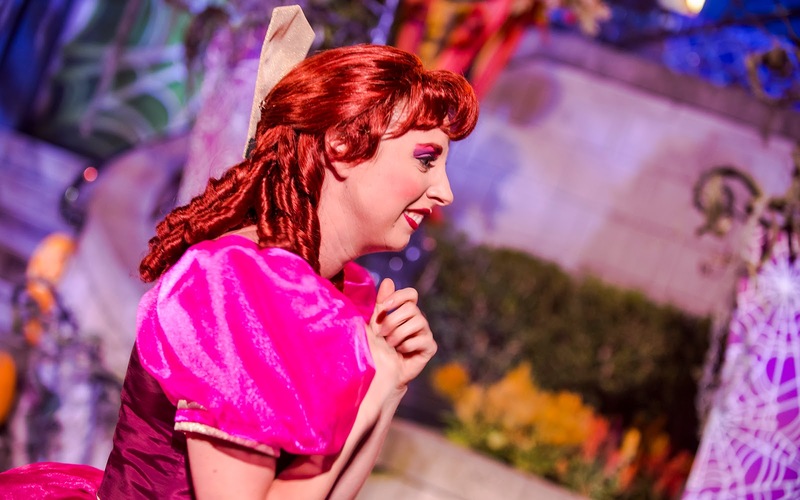 Anastasia is the more romantic of Cinderella's two stepsisters, and she actively pursues any guest who is a potential suitor. 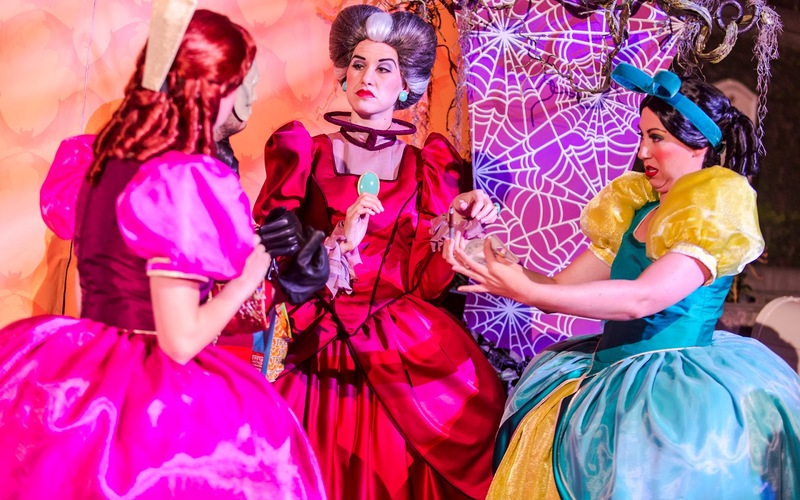 Meanwhile, Lady Tremaine can hardly contain her derision at having to mingle with "commoners." 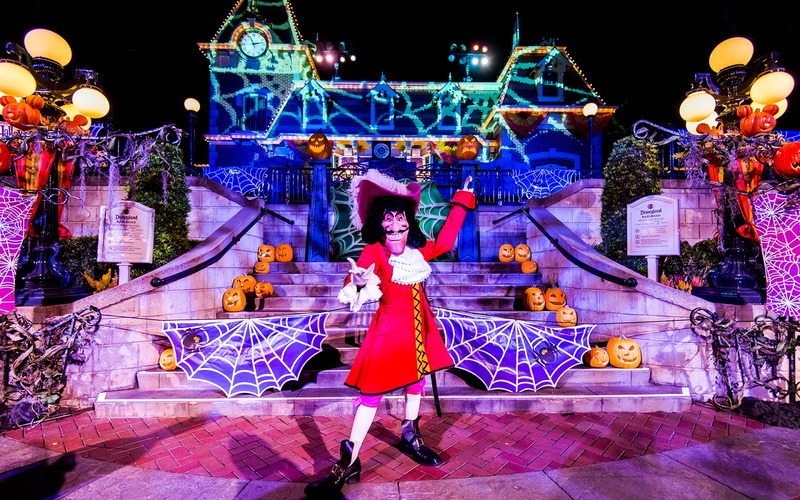 Finally, Captain Hook strikes a pose in front of the train station, which is decked out for the party!